Three XPT trains wait at Central Station, Sydney. Photo: PomInOz / Shutterstock.com. 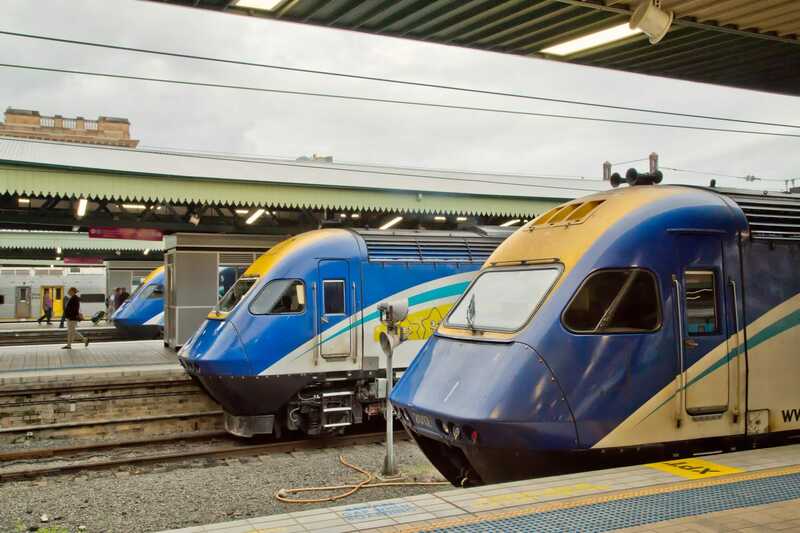 The government of New South Wales, Australia, has announced the three shortlisted bidders for the overhaul of its regional train fleet. Regional Futures, led by Downer, a Bombardier consortium and Momentum Trains, led by CAF, are the three parties. Transport minister Andrew Constance said the government is looking for high-quality, innovative and value for money proposals from the three applicants. The new rolling stock will replace trains which are up to 35 years old, including XPT, Endeavour and XPLORER trains. The NSW Government has also identified Dubbo as the preferred location to build its new maintenance facility. Transport for NSW aims to award a contract for the new fleet in 2019 with the first trains anticipated to be on the tracks in the early 2020s. The new trains will be operated by NSW TrainLink, the NSW Government-owned regional rail and coach service provider. Obvious question, will the XPT replacement still have a sleeping-car? has that been specified?